I want to thank you for your prayers for our church and for me. Thank you for your continued active work for the glory of the Lord. I write to tell you what we have done in the church. On September fourth we conducted a baptismal service. God gave us favorable weather; it was very warm. The service was conducted at the river. After the baptism we had a meal at the church where we rejoiced with the new believers On Sunday, the fifth of September, prayers of blessing for the new followers of Christ were offered, and the Lord's Supper was celebrated with the 4 new members participating. Praise the Lord, for this special blessing. Regarding the work on building, I also want to share my joy. Tile has already been laid on the floors. All the walls in the sanctuary are finished. All the doors are hung and light fixtures are installed. Balcony is not entirely finished as yet, and the two rooms in the hall have to be paneled. Work on the old building is not finished, only the windows are ready. The plastering will be done as soon as workers will be available. 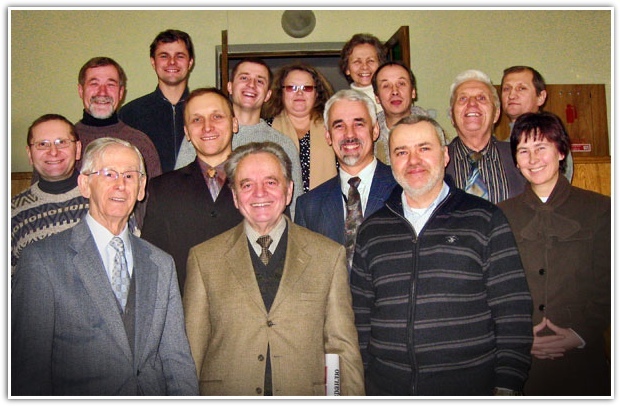 Dmitri Lazouta, director of SMS Belarus, gathered all the missionaries of Belarus together in 2010 for a meeting of fellowship with Leon Chechowich (SMS International Field Coordinator). Leon encouraged each worker that in the light of changing circumstances and in the midst of troubled times, it is vital to know God in the fullness of His sovereignty. “Be still (Stop) and know that I am God” (Psalm 46:11). Pray that the “good hand of God” will continue to guide and bless the efforts of our SMS missionaries in their respective churches and communities. Pictured (from l to r) first row: Leon Chechowich, Alexander Firsiuk (vice-president of the Baptist Union of Belarus), Dmitri Lazouta; second row: Michael Bichkov, Victor Zaletilo, Victor Bogdanov, Anna Shaets; third row: Alexander Levkovski, Valery Beza , Olga Jarichevskaya, Boris Valshonok, Pavel Firsiuk; last row: Sergei Drozd, Eugenia Chegar, Peter Lukashevich. The next day he again knocked on my door to prepare for the service. When I opened the door, I noticed that Andrey was wearing a nice sweater and a pair of slacks. I asked him, “Andrey, where is your suit? You are officiating the wedding, yes?” He put his head down and then lifted it to explain. He told me, “Sergey and Alexandra have very little money. Sergey did not have a suit for his wedding. And I only have one suit. So, I lent my suit, my white shirt and my tie to Sergei in order that he might look good for this special day.” A pastor serving his members! This great example of a “pastor’s heart” will never be forgotten. Exciting events are happening in Bendery, Moldova. About two years ago, a new church was formed in the northern area of the city, and just this past year, a new building for youth ministry was purchased. Peter Korotash, SMS missionary and pastor of Grace Church, praises God for all the spiritual progress that has transpired in his city in the last few years. The youth building still does not have running water; therefore, hot water must to be carried from the church for refreshment time. In the past, the water would cool by the time it was transferred. Now, with the purchase of eight new thermoses (carafes) for hot water, “tea time” will be much more enjoyable! Also, a keyboard was purchased for the meetings. Praise the Lord for this important outreach to the next generation! By God’s grace and the power of the Holy Spirit, the leaders desire to see many young souls repent of their sins and believe in the good news of salvation. Oksana Leonova, director of Safe Harbor Ministries, has truly been blessed by the fruit of her labors these past ten years in the city of Bryansk, Russia. Oksana remembers fondly the day that she noticed a group of “street” children sitting in the balcony of the church one Sunday. As she watched them from the choir loft, she immediately felt compassion for them and was compelled to see them at the end of the worship service. Quickly, she hurried to meet them and ask them if they would be interested in coming to her apartment that week for some refreshments and fellowship to discuss some ideas from the Bible. They agreed. The first step of her new ministry was taken. 25 children comprised her first group in 1999. Now, after ten years of service, Oksana has seen over 300 children and young people enter the doors of the Transfiguration Center behind the church. Many have turned their hearts to the Lord in repentance. This past summer, four young ladies who “grew up” in Safe Harbor Ministries, followed the Lord in believer’s baptism. This team is now assisting Oksana with her many duties at the center. Because they have experienced the “life” that many of these children and young people endure, their patience and understanding helps them to be wonderful “vessels” for the Lord to work through them in miraculous ways. Praise God for opportunities to share the life-changing news of salvation! Valery Eroshkin, SMS missionary in Oryol, Russia, thanks everyone who shared “Christian hospitality” to him and Rob Zapotoski (SMS International Field Representatve) while he traveled in the United States to share to supporters and friends of Slavic Missionary Service about the spiritual progress of the ministry in the Oryol Oblast, a region of 820,000 people. 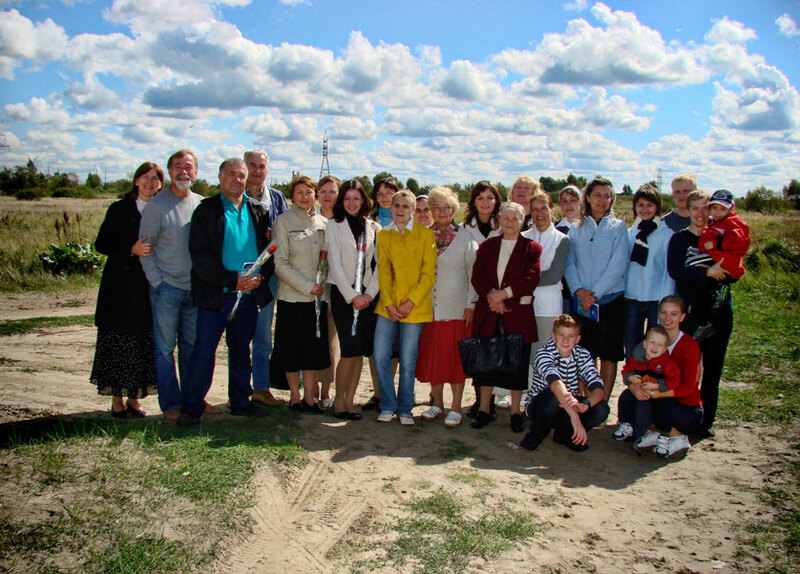 Valery is the pastoral superintendent of the Oryol region, which involves overseeing 18 churches and 14 small groups. His church, the Transfiguration Church, includes 225 members. About four years ago, the church commissioned ten members to start a new church. Victor Mekshenev, SMS missionary, would serve as pastor and church planter. 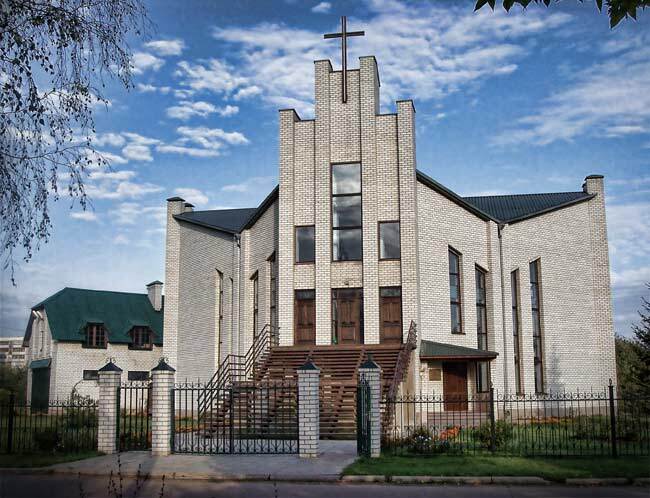 This church, Grace, would be the third evangelical church in the city of Oryol, which has a population of 320,000. Grace church now comprises 40 members. Victor and the members of the church thank everyone who sacrificially donated funds in order to purchase a piece of property and a small house this past year in order to construct a new place of worship. While reporting about the progress of Grace Church, Valery also informed many friends and supporters about new projects in the Oryol region. 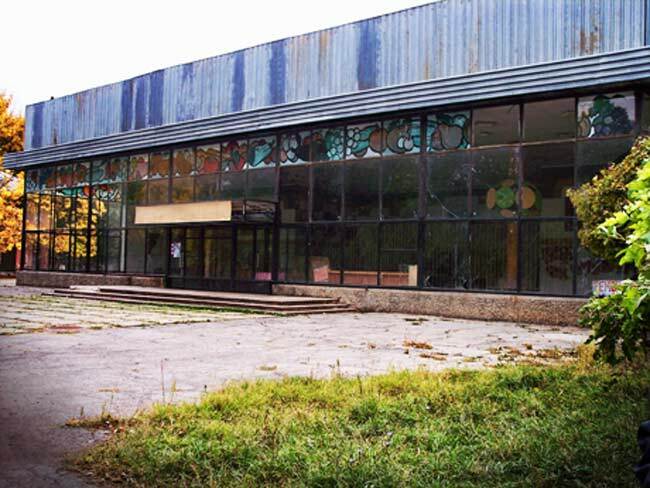 One such project involves the reconstruction of the summer camp building in order to include a dining hall. 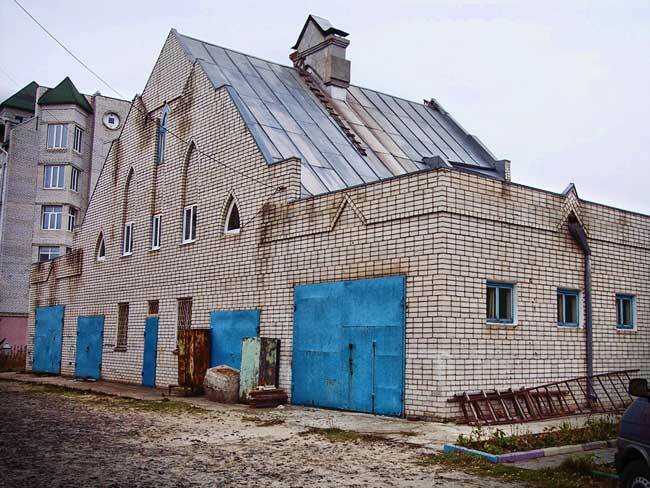 Another project requires funds for the renovation of the inside of a new House of Worship that was constructed in Moloarchangelsk. Praise God for opportunities to “engage in good deeds” (Titus 3:8). 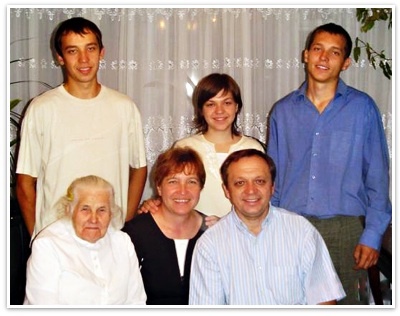 Alexander and Lena Demidovy, a family who are dear to us at Resurrection Church here in Belarus, are in need of a car. Their very old car, from 1986, has broken down. Without a car, Lena can’t to go to church (she is paralyzed from the waiste down) and Alexander will lose his job delivering food to stores. The owner of the company told him that if he did not have a car, he would have to lay him off because the food can’t be delivered without a car. It would be very hard for him to find other job because, as a former prisoner, not many people trust him. Also Alexander goes to the local prison to share God’s word and his testimony with the local prisoners. This ministry can’t continue without a car. Vehicles in Belarus are much more expensive than in Europe or in the US. Belarus does not manufacture any vehicles of its own. All vehicles must be imported from other countries, and there is a very high customs fee to import vehicles. The Resurrection Church in Minsk has already started to collect money to help this family, but our economic situation makes it impossible to collect enough. We need your help in this good project. Any assistance that you can give would be much appreciated! In addition to their need for a vehicle, we’ve also noticed that Lena’s wheel chair is very old and missing some parts. What a tremendous joy it would be to be able to bless her with a new wheel chair as well! Stanislav Bokun, one of our deacons at Resurrection Church, is currently in the States, but will return to Belarus in March. 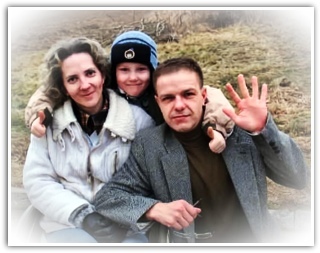 If you are able to make a donation, make a check payable to ﻿SLAVIC MISSIONARY SERVICE, and send it to the following address: PO Box 307, South River, NJ 08882. Please write “Demidovy family” in the memo line. Stanislav will personally deliver the funds to purchase the vehicle and wheelchair to the Resurrection Church when he returns to Belarus in March. Thanks for your prayerful consideration. I’ve included Alexander and Lena’s Testimony here, so you can see the unique ways that God has been at work in their lives. Praise the Lord for the way He has blessed our ministry! 11 years ago the work among street children began in our city. At that time we did not know how this work would develop and how long it would continue and what would become of it. God helped us found this ministry and blessed us in the work and helped us in the difficulties. We are grateful for each child and for all those who assisted in the work with the children. The children sang songs they had learned and they gave testimonies of how God has helped in transforming their lives. At the beginning of the ministry we faced difficulties… We had no funds. I approached a man asking for help to feed the children, and he answered coldly, "We all have problems." An American visited us and I spoke with him about our needs and he immediately gave me $100. He then encouraged others in the USA to help. 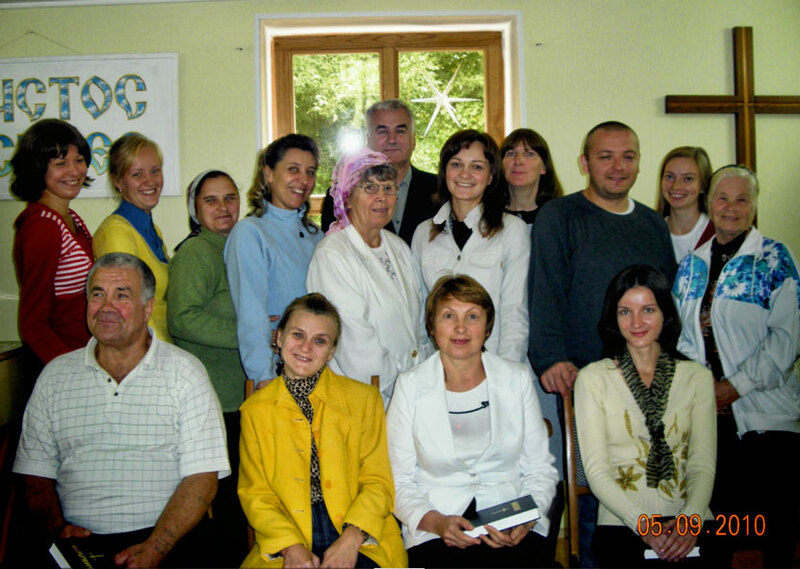 Slavic Missionary Service, supported by churches has been helping ever since. Help keeps coming to us at just the right time. In early November we put together 60 packages of food parcels for poor families in great need. In these needy families there are many children. We spoke with parents about their need of salvation and we invited the children to come to the Christmas program. Christian calendars were distributed along with gifts for the children. For Christmas many children attended and we had a wonderful party for them. In this family there are four children, The mother is an alcoholic and the father does not live with them. For several years we have visited them, understanding the needs of this family. A year ago they moved close to the church and began attending Safe Harbor. Nastia is an intelligent girl with great incentive and artistic ability, but in school the teacher ridiculed her in front of the class because she had lice and for this reason she was often kept from classes. Her clothing was very poor and she felt very inferior. We treated the children for the problem of lice and managed to find good clothes for them. 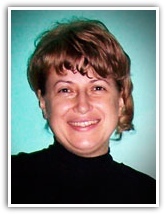 Here in our center Nastia jnvolves herself enthusiastically in games and helping all the time. She attends church and Sunday school regularly. Natasha has less initiative and is bashful, a very thin girl and pale. She is a sickly child. Ilya is a happy, friendly, super active child. He has a speech impediment and for this reason he was not allowed to go to school last year. We spend a lot of time with him. Not long ago the mother gave birth to another son, but he was born sickly and paralyzed and in a short time died. The children are deeply ftoubled over this. Children live with their mother and an uncle who are both alcoholics. The father also drank and died as a result. When Alena arrives at the center you can tell by her face what the situation is at home. If mother is not drinking Alena will have a smile, but most of the time she is sad. Once she arrived and was sobbing. It seems that her drunk uncle locked her out stating, " If her mother doesn't want you neither do I." The children are afraid of being sent to an orphanage and Alena desires to be with her mother. She attends Sunday school and church regularly and is constantly praying for her mother. She is thankful for Safe Harbor where she can come daily to find encouragement and comfort. Praise the Lord that He continues to meet the needs so that our Safe Harbor ministry can continue to help unfortunate children. Thank God for bread, clothing, workers, a place to meet, and help from caring people. Greetings, brothers and sisters in Christ! I thank God that I can share the blessings of my ministry with you. Thanks for the way that you are participating with us! In May 2010 the church purchased a 1998 used car. I drove it 16,000 kilometers. Recently, not far from my house I had a flat tire. I had to shovel snow in order to replace it with a spare tire. The spare tire which was sold with the car did not fit! At first I was upset, but then I realized, that for 16,000 kilometers, God kept me from being disabled on a forest road, or on highways, or in other cities! Instead of complaining, I started to thank God for His care. I trust God for his care and traveling mercies! March 14, in the evening, I got a call from the church informing me of a man wanting to meet with me. His name is Simon. He is 58 years old. He served in the military, and fought in the war in Angola and Afghanistan. Now he lives alone, suffers from alcoholism. He finds no meaning to life and was thinking of taking his life. He threw away the rope he had intended to use and on that day, as he walked past the church he saw the light in the windows and came in seeking help. I met with him and we prayed together. He repented and I told him about forgiveness in Christ. The next day we went with him to a group for Bible study. Pray for him. Our faithful sister, Nina suffered a stroke. She is 78 and has no relatives, and is being cared for in a nursing home. Two young men and I went to visit her. It was an unusual visit. The brothers played a guitar and a harmonic and we were surprised, that other elderly woman came to listen and to join in the singing! I sat at the bed of our sister Nina and shared the gospel with them. It was amazing how God gave inspiration and how these elderly ladies listened to the story of Christ death on the cross in order to save us and forgive us of our sins. And so serious was the news of sin, the Savior and the forgiveness of sins. They asked to come back and promised to have a larger audience next time. Our sister was very happy that God has used her illness for His glory! We had Lord's Supper with her before we left. a girl who was baptized in our church two years ago, became ill with cancer. She was sent to Gomel for treatment. Pray for her. A refugee from Afghanistan has been attending our church. His name is Esin. He is a Christian who fled from there, since Muslims have become more hostile. He is learning the Russian language. At present we can only communicate with him in English. Thank you, dear friends, for your kindness and help supporting my ministry. May God meet all of your needs and reward you abundantly on earth and in heaven! Eight days, from 12 to 20 February was a week of evangelism! An evangelist came from Kiev for the special effort. Each morning we gathered for prayer and then went out to the residents of our city. Each day we were able to visit 4 to 6 families. During the week more than 30 families heard the gospel and prayed confessing Jesus Christ as Savior. In the evenings we had special services for church members. Our speaker brought encouragement to wives who have non-Christian husbands. Special meetings were held with young people. Much attention is paid to messages from Revelation and the closeness of Christ's coming! I held a prayer dialogue with churches of the region - Ushachi, Polotsk, Vitebsk, Begoml. Brothers spent 3 - 4 hours in prayers and discussion of Scripture and various topics, and needs. Began preparation of documents for the transfer of title of an old property for use by our regional association. I had a meeting with the government official in charge of religious affairs. the Vitebsk region. MINSK. February 16 I attended a meeting of the Baptist Union. I am continuing to have massage treatments on my spine. My wife went to Grodno to help our daughter who has given birth to another son. They have named him Viktor. I sold my car which has grown very old, and I am in the process of purchasing another newer one. I will need to borrow $ 2,300. We also are preparing for the wedding of our son, Timothy on May 28th. Thank you for praying and supporting us in the ministry in this part of the world. Peace to you brothers and sisters! Merry Christmas and Happy New 2011. Thanks to everyone who supports me both spiritually and financially in the ministry at the hospital. Yes, the Lord will reward you for the good things you do in His name. Praise the Lord that He extends his mercy and allows us freedom to preach the gospel among sinners. In the administration of the hospital there are changes in leadership. The head nurse went to another hospital, and in her place came Jeanne Arkadyevna. Though she treated me kindly, we now are seeing changes in the hospital in leadership positions in the dining room, and even in some junior medical staff. Christian calendars, which I presented were all removed. There was a change in the deputy chief physician of the hospital and two others working under him. I somehow have to get acquainted. Pray about it. What will result in the future, I do not know. But God I trust the Lord to act and further his kingdom and many hearts will come to know Him and the name of Christ exalted! I have invited many of the doctors and nurses to a Christmas program, which will be held at our church January 3 – 9, 2011. While handing out invitations, I also gave religious literature, calendars, in doctors' offices where the doctors themselves had invited me. This was an opportunity to bear witness to Christ. May God work in their hearts through His Word. I continue witnessing to patients as well. In the ward for seriously ill patients I met Eugenia. She was caring for her husband, who is paralyzed on his right side and has had one leg amputated. This woman spoke of her sorrow, and that, in addition to her husband's health problems, she has an adult daughter, 36 years old, who is an unemployed alcoholic, who extorts money from her for liquor. This woman is seeking help and advice. She does not have a relationship with God, but asks Him for help. We had a long conversation about faith, about Jesus, about addiction and the liberation from alcohol, that her daughter needs. She accepted a N.T. In the men's ward when I went and asked, if anyone in need of spiritual help, one man, Valery, spoke up loudly saying, "I do!" And he told me that before my arrival in the ward the men talked among themselves about faith in God, and other spiritual topics. He said that he wanted someone to talk with him on this subject, because we have to learn more. His beliefs co-inside with the teaching of the Orthodox Church. He visited an evangelical church, but he did not like it because he said that they do not live as they preach. He does not go to this church anymore. In gynecology ward, there were 7 people who gladly took the Gospel and listened as I told them about salvation that can be found in Christ. A young woman, Alesia, shared with me that for four years, she is living with a man to whom she is not married. I asked her if she knows what God says in His Word about such a relationship? She replied to me does not know, because she does not read the Bible. We talked about sin, about God's commandments, repentance, Christ. I suggested that she attends church and left a business card. I gave her a gospel and Our Daily Bread. In emergency surgery I met Valentina, an elderly woman, who in earlier years was an economist. She requested spiritual help. We exchanged phone numbers so that we can support her spiritually when she leaves the hospital to go home. She had read somewhere that abortion is a sin God will not be forgive and it torments her. I talked with her on this topic. She accepted a N.T. Alla, a paramedic in the physiotherapy department, asked for an invitation to a Christmas program for her grandson who was an orphan. His father died 14 years ago and she takes care of him. I was in her office and she told me about his life experiences and I had the opportunity to talk to her about Christ. Some physicians are asking me to visit them, some who have gone to other hospitals to work, and they call and asking for an invitation to the Christmas program. They are reluctant to come to church, because they are Orthodox. Again and again I thank all my brothers and sisters for their support in the ministry. May you have health, peace and joy in serving the Lord. ENGLISH CLASSES - 425 Russian speaking students registered. Three class sessions were held daily. Bi-lingual N.T.s were distributed. We visited homes of the students. The pastor of the church gave a clear presentation of the gospel. We now continue to communicate with students on the internet. 68 students said that they want Jesus to be their best friend. Teachers are needed for next summer 2011, and full time teachers are needed right now. BETHANY CHURCH - July 4th dedication had to be postponed. 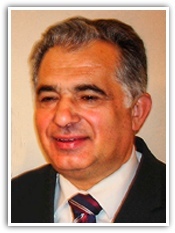 Missionary Levkovski has health problems. Repairs to the old house, and seating for the new church, a new fence and landscaping will require more funds. It was good to be with the church for two Sundays to encourage the congregation during these changes in plans. WESTERN BELARUS - We visited Slonim Bible Church where they have a sign on their building, now that registration has been completed. New members have been added. At a summer camp the kids responded warmly to what we had to say. We visited my relatives and one of them said he is reading the Bible to his children. PTL! At the Sunday morning service in Stolptsi Shirley Keiner gave her testimony and I preached. Smaller churches are in need of encouragement. STAS BOKUN - along with his wife and daughter are back in Belarus. He is happy and the Resurrection Church elated! Summer camp was successful as was a Day Camp that they conducted. The church group no longer meets in the Chess House as rent was significantly increased. They now meet in the MInsk Seminary. Building continues to progress, but slowing. More funds are needed, but although the building is not yet complete, the outreach to the people in the area continues to be Effective. SMS WORKERS - gathered for study, discussion, and prayer. They are sacrificially serving in the planting of new churches. In spite of opposition and shortages progress is being made and all the churches have seen converts and added members. It is slow steady growth. Keep praying for open doors in Belarus. 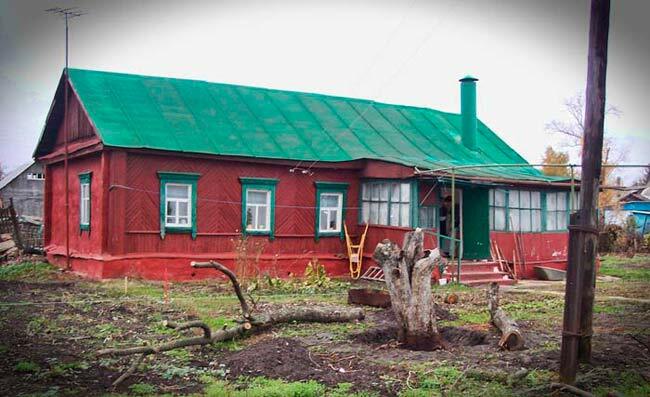 HOME FOR THE HOMELESS ALCOHOLICS - In Central Russia they were converted and rehabilitated. They were taught to work to survive. They built a home of old RR ties on donated farm land away from the city. They planted a large garden, they have pigs and chickens, and bee hives. They suffered last winter's extreme cold. They need foam insulation. The men are in church every Sunday and in the men's Bible Study on Monday night. On the farm they offered bread and some of their honey and a cup of tea. It was sweet fellowship with men who have found freedom in Christ. Can you help with this project of providing insulation? 59th Anniversary and 57th year Serving Christ Together These were precious years of service in which God's grace was provided. Your partnership through prayerful support has been significant. Thank you for your meaningful participation over the years ! this to make it happen." Conversions and rededications to Christ followed. I will be joining a group of American teachers to participate in teaching conversational English. newly planted church which has recently been officially registered. $ 350.00 per month is needed. be involved in ministry even sooner than I thought. So it is great. Keep praying for us please. God's Word is speaking privately to each person checking the date. River to visit with Alexander Kudrin who is doing an effective work in helping rehabilitate person who are alcoholics. PLEASE PRAY FOR ALL OF US ! Grace to you and peace from God our Father! I write praying for you that God will bless you in your desire to assist in the evangelization of Belarus! I was asked to speak at the funeral of one of our older sisters. It was quite difficult because the people to whom I preached do not come to church to hear the Word of God. The body of our sister was carried and placed at the entrance of the apartment building for relatives and neighbors to pay their last respects. At this time, I spoke to those who had gathered. People listened, and even a man passing by stopped to hear. It was not the most conducive for preaching, but thank God, those people heard the Good News! 2 February, we visited a children's clinic and unexpectedly met a girl 14 years old who was there with her mother. The girl attended our Sunday School 2 years ago. My wife had previously been in their home and met with the parents. The mother was very upset and angry at her daughter because she was pregnant. Joanna wanted to keep the child, but the mother and the father insisted on an abortion. All in the young man’s family also insisted on an abortion, including the doctors. The girl's mother was justifying her actions, saying that they could not support them. I explained that abortion is a sin. And we started talking about saving lives. I convinced the mother that she should not do this. We promised to give them a baby carriage. In late February, I met this mother, and she gladly told me that they decided to have the baby! I am glad that God used my wife and me to influence them not to go ahead with the abortion! One day I was summoned to repair the lights in an apartment building. A man, about 50 years of age, was the owner of the apartment. I commented that the work previously done must have been done by drunken electricians. We struck up a conversation, and he asked me why I do not drink. I replied that for the Russian a little wine before dinner means that you can have a lot more after dinner. He works as a grinder and said: "Yes, we at work wonder why we allow the deviation in the amount we are permitted to consume which is only on 4 oz, and then take 6 oz. I replied, if you tell them 6 oz, then we say, why not 8 oz. He agreed and said,” You are right. " I suggested that it would be good to read the Bible. He said, “ I can not believe in the Bible without more instruction." I replied, that we will be conducting a small group Bible Study in my home, and when we start, I will invite him. He seemed interested. The church needs a website. I challenged our men with the project, and at first there was no response. Then, one brother, who is well versed in computers, called me and said he would like to do it. Praise God! We can invite people to learn about the church, sitting at home. This brother has already done 80% of the technical work. A lot of work is needed in preparing articles for the site. That burden falls on me and my helpers. We expect this to be a blessed ministry once the site is opened. Many young people already want their unbelieving friends to give their e-mail addresses! I started the process of organizing small groups in the church. I discussed this with the leaders and brought the matter before the church. Most people are happy to participate in this ministry. We are planning to organize five groups. Our older members are moving on to heaven, and the church, in the near future, will consist mainly of young people who came to Christ during the period of my ministry. Young men need to be leading these groups, which will help them to grow spiritually. Moreover, almost every young person already has 1-2 non-Christian friends, who they want to invite. At the membership meeting of the church, I was given a vote of confidence and trust to carry on my ministry as pastor. * For the 100th anniversary celebration of the church. • Creation of a web site. • Repair and decoration of the church building. * The success of the organization of small groups, and evangelism through them. * Pray for a vehicle. In July customs duties where increased (40% of funds I already have — $2000). God bless you and be gracious to you, and reward you both here on earth in your endeavors and also one day in heaven! I am very thankful for your support of the ministry that I am involved in here in God’s harvest field. Here are some numbers for you to digest! 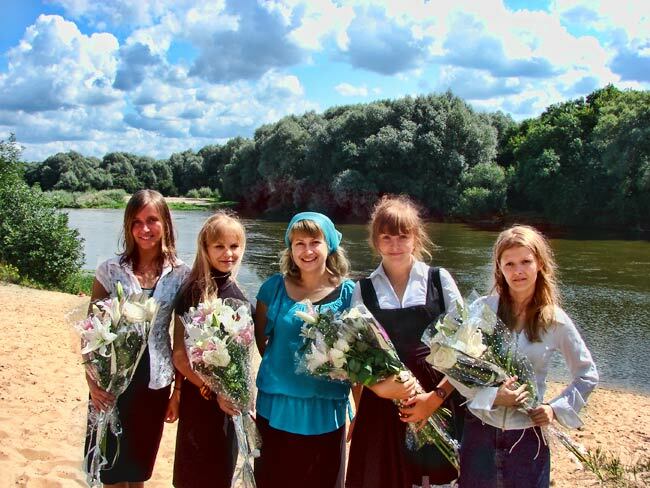 8 – students who graduated from Seminary where I also teach. On top of all of the above, I am involved in a counseling ministry, teaching in the seminary and publishing new books in the Ukrainian language, three of which are already completed. Please continue to pray for us in Ukraine as we pray for you there! We have set a goal for our congregation this year. In 2010 it is our goal that each member of the church should pray, work, and assist people in coming to Christ. If each one brings one, we can double the number of our congregation and God’s kingdom in our village. We rejoice in the faith of two young girls who have given their lives to Christ. These two girls have had no support from their families physically or spiritually. We are grateful that our congregation has been able to be a family for these girls. GOOD NEWS!!!! After more then two years of waiting, issues regarding matters of our church property, have been resolved. The local government has finally given us approval, and we can prepare our plans for building our house of prayer. Praise God! Very sad news reached us from Russia. Twenty sailors perished in a submarine disaster. The tragedy occurred during a test run in the Sea of Japan when, unexpectedly, the fire extinguishing system was activated and the sleeping sailors were overcome by the icy and poisonous freon gas. The underwater torpedo carrier was built in 1991. The same year, unable to survive the “economic competition,” the Soviet Union fell apart and sank to the bottom. As a result a project with the predatory name “Shark” was left to rust in the dock of a Far Eastern ship building factory. Afterwards the financing of the project was resumed but on a very meager scale. According to the press, India invested hundreds of millions of dollars in this project with the intention of helping to finish building the submarine, then leasing it and, eventually, using it to train its sailors. The work was done in a hurry. According to the factory workers any kind of metal available was used – even a metal that was used in China for making cooking pots. Let the experts determine whether this is true. But the day came when the submarine named “Ringed Seal” (project “Shark”) was taken for a test run in the ocean depths. The compartment, which was calculated to hold a crew of seventy eight people at the most, was filled with more that 200 – engineers, service trial specialists and inspectors. These were civilians with access to classified material. Why do these things occur? What is the reason for it all? Time and again we repeat these same questions, forgetting that man is not some kind of an electric battery where the plus is forever separated from the minus. Man is the crown of God’s creation and ever since the royal crown has been smitten by the virus of sin the entire universe suffers. We forget that the human soul is the battleground between God and Satan and that the battle is at its peak. We demand simple answers, which lead us astray. We are ready to curse the discoverer of heroin and yet we bless him who synthesized the aspirin, without even suspecting that it was the same German doctor who was convinced that both of his discoveries were the panaceas for the common cough and the common cold. We demand a great deal from nature and from each other. But, as was the case with the fairytale queen, we would rather break the mirror than see in it the true reflection of our face. Of course, the Creator of the universe does not need our answers. He knows everything since He encompasses the beginning and end of time. He sees everything and all of us – a criminal whose eyes were opened on the cross, as well as a naive old woman bringing brushwood to the fire which is about to consume a martyr of the Christian faith. God sees the guard who, in his boredom, begins to press the buttons of a secret code, thus causing a terrible accident. He also sees the sailor who pulled his father out of the submarine compartment that was on fire and died in an effort to save the lives of others. God knows everything. Why, then, does He look at us so expectantly? Why, knowing what we would do, did God give us the freedom of choice? Is it not because we, His children, must ourselves answer the never-ending challenges of our existence? What really motivated that young sailor who was willing to die in order to save the lives of his comrades? There are many words we could use to describe his heroic deed. Believers explain it with one word – love. Not instinctive love but the movement of a spirit that reflects the Love of our Heavenly Father. His Love surrounds everyone and its shoots are in every heart. However, it is usually seen through a dark glass and is clouded by the vanities of life (I Corinthians 13:12). Only a special, at times, extreme situation, makes the dark glass transparent and then the human soul basks in the glowing rays of divine light. In general the difference between an unbeliever and a believer lies in the fact that a believer lives in the anticipation of that great moment when the light of Heavenly Love will be revealed in its fullness. 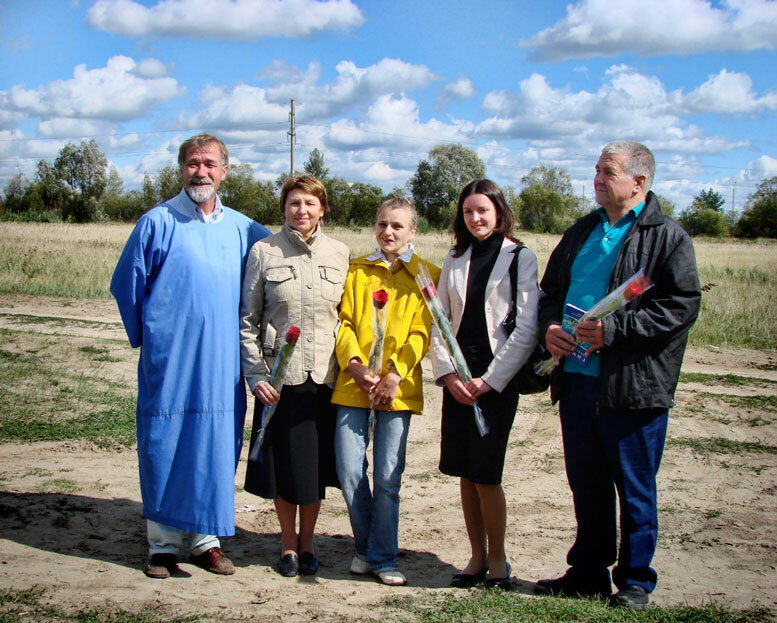 A few years ago a group of workers representing the Slavic Missionary Service visited the families of sailors who lost their lives during the accident on the Russian atomic submarine “Kursk.” On behalf of American believers we shared with them words of comfort, gave them Bibles and provided financial help. A prayer was offered in the atmosphere of hopelessness and desperation. All the horrors of the worldwide flood in Noah’s time failed to cleanse the human soul. However, death on the cross accepted by one single Person redeemed the world. This happened not because Jesus, the Son of God, died but because He died for all. And so everyone has the opportunity to see himself in Him. Jesus triumphed by destroying through His own death the power, which death held over all of mankind at whose very beginning stands a frightened young man with a partially eaten fruit in his hand. Lord, help us to cleanse the mirror of our soul so that your redemptive light may be seen by all. Help us to awaken. On the 23rd of July this year I turned 50, on the 13th of June we had our 26th wedding anniversary, on the 9th of April my daughter Inna will turn 20, on the 6th of April my mother-in-law will turn 90, Anton was born on the first of May 1983, Pavel was born on the 7th of September 1985. 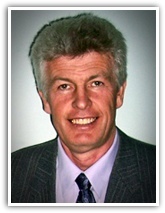 Since 1992 I've been the Pastor of the "Transfiguration" church, Orel, Russia. The church has grown from 12 people to 214 in 2008. 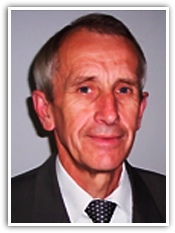 Since 1997 I've been the Superintendent in Orel region. Today we have 31 churches and groups with 1150 belivers. We plant new churches, do evangelism. 1. Purchasing the land for the 3rd Baptist church. 2. Finishing the house for children camps. 3. Start the rehabilitation center for drug and alchohol addicts. Just a little note to let you know that all is well as I continue to serve the Lord in the former Soviet Union... had wonderful opportunities when I ministered in Russia. Our national workers continue to serve the Lord in various ways... of course, the crowds are not pouring into the churches now; therefore, the leaders are learning new methods to "compel them to come in" (Luke 14:23). The political climate continues to darken with clouds of uncertainity. Putin continues to push his agenda of obtaining more control over the resources available in the CIS. Yushenko continues to push his agenda by dismissing the parliament... new elections are slated for December. But God continues to shine through His workers. No matter what may transpire, their goal is to glorify the "Sun of righteousness" (Malachi 4:2). Thank you for praying. Praise God for opportunities to serve Him "being knit together in love" (Colossians 2:20). On these pictures you can see a new church planted in Benderi. 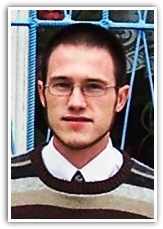 The young man who is pastor was a member of Peter Korotash's church. 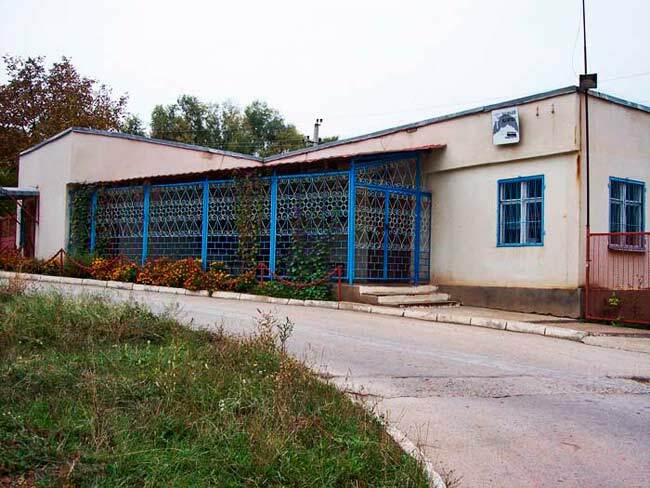 His church is located in a section of Benderi which is in Moldova. Peter's church is that part of Benderi which is in Prednestrova. Please let us know if you think we can help with the cost of the installation of the gas to heat the church. Helen recorded beautiful music in the Russian language which has been used over and over again on our SMS radio broadcasts. 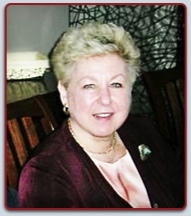 Helen Boltniew, beloved wife of Dr. George Boltniew, died on May 27, 2008 in her home in Union after battling non-Hodgkins lymphoma for 10 months. Born into a Russian family in Teraspol, Ukraine on May 18, 1941, Helen came to the U.S. in her youth during WW II and landed with her parents, George and Olga Saratovsky, on the west side of NYC. She is survived by her husband and three children - Eugene, Lora, and Gabriel, and her grandson, Evan. She was a lifelong member, music teacher, soloist, organist, and pianist in the Evangelical Baptist Church (Union). She leaves a legacy of music education in 4 different parochial schools (Christ the King School in Hillside, St. Catherine's School in Elizabeth, St. Michael's School in Union, St. Rose of Lima School in Short Hills) and at the Evangelical Christian Center in CT, as well as with many piano students that she taught from her home. On Tuesday, at 10:30 p.m. our time, the angels came and carried the soul of my beloved Helen to her eternal home in the heavens. She died peacefully having accepted her passing into eternity as God's will for her life. She finished her assignment on earth and has entered her eternal joy and rest. Gabriel, my youngest son, and I were at her side when she took her last breath. Our eyes were filled with tears but there was peace in our hearts because we know that my wife is now in the presence of God and will never again have to experience the kind of pain that had plagued her for the last ten months. She patiently accepted her lot and passed the fiery trials with flying colors. We want to thank you for your love, concern and prayerful support during this most difficult period in the life of our family. Helen's suffering and endurance helped mature our entire family and drew us closer to the Lord and to each other. How wonderful to know that Jesus triumphed over death and by trusting Him we join Him in His triumph. Again, heartfelt thanks for your love and prayers. Rev. Nicholas Dubovy, pastor and friend is in the presence of the Lord and Saviour he worshipped on Monday, November 3, 2008. He almost made it to 101. Born in Borodychy, Grodno Belarus, youngest of 5 siblings. At birth, Belarus was occupied by Poland. As a little boy of 7 he and his village of evacuated and sent to Russia during WWI; When they came back of refuge camp a year later there were dynamite mines in their fields still standing. He even brought one into the house because it was frozen in ice and put it on the stove to thaw out. He thought it was some kind of meat. His older brother discovered it just in time and was able to save the whole family in near disaster by throwing it out the door and see it explode. God took care of him and his family in many such situations and at an early age of 12 he called out to God in an open field and promised to serve him the rest of his life because of the joy and closeness he felt with Him. Rev. 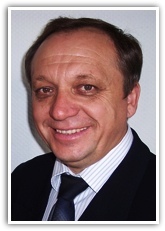 Dubovy became youth pastor at age 15 and a visiting missionary to other villages at age 19. He also was sent to Poland as a missionary. He helped lead his whole family to Christ and kept doing that till he was 95. He went to a Bible Seminary in Germany that was paid completely for six years by John Rockefeller from New York. He was a missionary to the Slavic camps in Germany during WWII; After the war he moved to Winnipeg Canada and became an associate minister in a Ukrainian church. 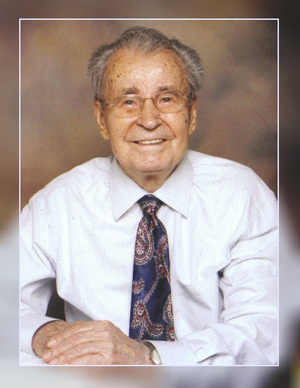 He moved to Cleveland Ohio in 1953 and became pastor of a Polish church as well as a full time employee for Ford Motor Co as their inspector of parts. 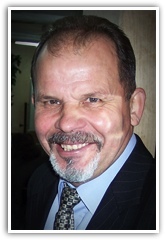 He moved to Florida in 1978 at age 70 and became pastor of a Russian-Ukrainian Ev. Baptist Church and at the same time started sending Bibles and tracts to the Soviet Union with his wife Lydia. By age 87 he sent over 45,000 Bibles and tracts that even reached Siberia and China. His sweetheart of 64 years died in 2003 and he has lived with Peter and Lydia Gaponiuk in Lutz since then. Nicholas Dubovy will be greatly missed by his nieces and nephews and great nieces and nephews and great-great-great nieces and nephews as well as all his parishioners and friends and neighbors at Town Shores/Buckingham and Lutz. I thank God for you brothers and sisters, for your prayers and for your financial support. “ The Puzzle”. It was held for three days and we had 200 persons present for each service. The evening services were mainly youth gatherings. It was good to see people attending that never come to church. People spoke favorably about the program. Alexander Firisiuk preached and when the invitation was given 4 persons raised their hands indicating they were ready to follow Christ. Our church was involved in promotion, transportation, hospitality and in helping to cover the costs involved. 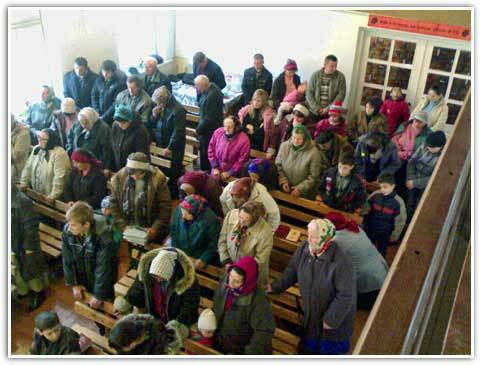 The church in Kobrin also assisted in the expenses. Vacation Bible School was conducted in July and we had 22 children attend. We were glad to be able to cover expenses of this activity. A couple from Brest came to conduct the VBS. Harvest festival was conducted in October and we had 100 visitors. A group came from Bethlehem Church in Minsk. In the evening there was a special service organized to reach out to gypsies living in our region. Regular gatherings are held with a view to winning them to Christ. 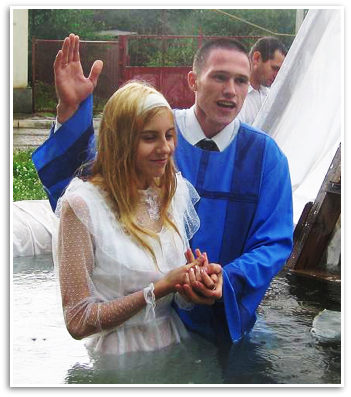 In August we had a baptismal service in the village of Zavelev where 4 gypsies were baptized. For these gatherings we have a full church. 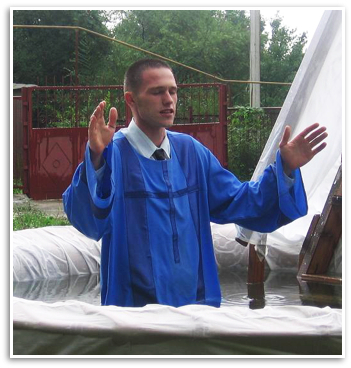 Brother Gregory Sobchuk is in charge of this ministry. Another young person was baptized who is now a member of our church and who participates in a musical group which is calls themselves, “Pure Heart”. We visit other churches where we conduct services. In the village of Novsolky, the husband of one of our members was converted and we are hoping to organize a small group ministry. We want to do the same thing in the homes of some of our friends and in my own home. Our Sunday school is continuing but we do not have many children enrolled. Negative influence from the Orthodox Church discourages families from allowing children to attend. Special outreach at Christmas involved a puppet theater conducted by a group from the church in Kobrin. Pray that God will kindle a flame in our hearts for service and that we will serve wisely and patiently. 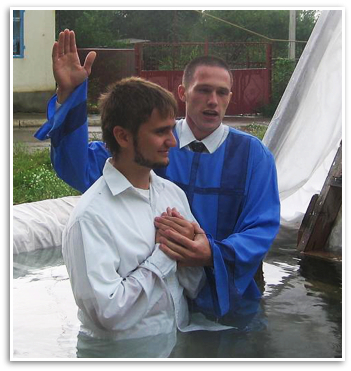 Pray for two new convert that have not yet been baptized. March 3 — Along with the musical group, THE ARK, we conducted the morning worship service in the church at Zhodino, where 50 people gathered to hear the Word of God. It is a young church, but visitors were invited. 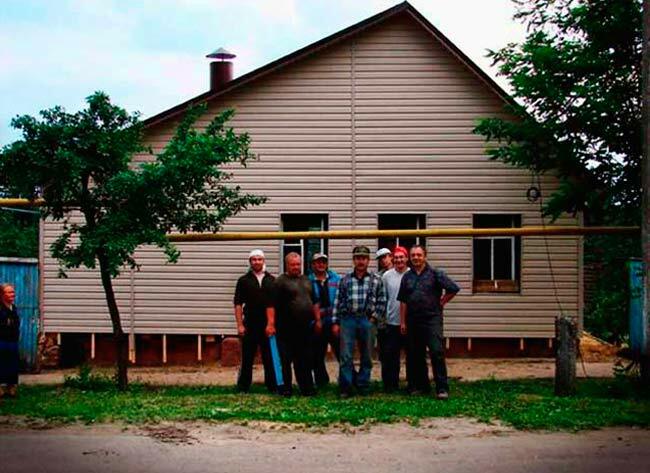 They have a building of their own, and they have a room in which they conduct Sunday school. This was an opportunity for me to get acquainted with the pastor whom we ordained last fall. I preached on the theme, “Study the Scriptures.” We were asked to come again. That same day at 2:00 pm we went to the village of Zabashevichi where I am especially interested in helping a small church of 20-30 people to become established. Non Christians attend the services. The area has a large number of people who are alcoholics. March 15 — I visited a church not far from us near the city of Solygorsk. There were about 30 people gathered. This is a young church. When I gave the invitation to turn to the Lord in prayer, ten persons, mainly women, prayed sincerely. March 29 — I conducted the service in Kopil . About 30 people attended. The work here has faced some difficulty, but lately new people have begun to attend meetings. There are men and young people among them. After the service we spent time with them getting better acquainted. 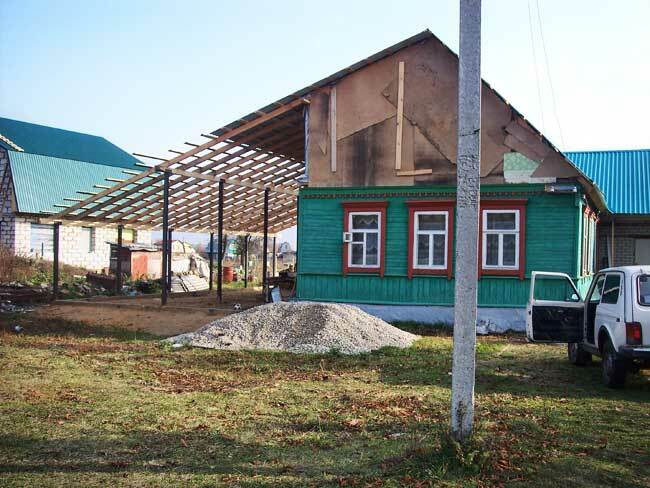 They have begun to make improvements on their old building where they meet and are in need of financial help. April 4 — at 4:00 pm we had a service at the hospital. My musical group was with me. Some 30 patients attended. A couple of unruly men made a disturbance during the time my father was preaching. They left, and at the close of the service one of the women gave her heart to the Lord. April 11 — We celebrated Easter with a return visit to Solygorsk region for a service. 50 people attended and I spoke to the theme, “He Was Dead But is Now Alive”. The Holy Spirit moved people to tears and at the close of the service several came forward to pray. After the service a meal was served. After dinner singing hymns was suggested. We had wonderful Christian fellowship. 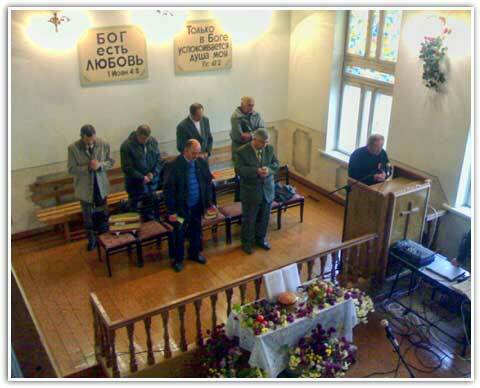 April 26 — I preached in the morning service in my home church in Kolodishchi. In the afternoon we went to the hospital in Borovlani. My father and I preached. At the close ten women prayed after me the prayer of repentance. Pray for the hospital ministry of my father. As I travel to various churches many tell me that they were converted in the hospital when my father was preaching. I thank you for spiritual, prayerful support! Peace be unto you brothers and sisters! Praise the Lord for all His mercies, which He manifests daily. Praise Him for the opportunities to witness to people about Christ in Hospital #5. Praise Him for the difficulties and trials, which He permits in our lives. We thank the Lord for all those who take part in this ministry, who support our ministry with their prayers and gifts. May the Lord generously reward all of you. May the Lord bless the people of America and Belarus. May He bless all the workers in His vineyard. The recent holidays were especially favorable for witnessing about our risen Christ. Easter for some is no more than “Easter pastry and colored eggs.” For those of us who read the Word of God, Easter is our real joy and life with the Risen Christ. In the surgical ward one of the male patients told me: “I don’t think that God is a human being who watches us from on high. It’s some kind of a mind. I am afraid of God. I have many sins. I am afraid to draw near to Him. I talked with him and told him that through Jesus Christ we can come to God, sincerely ask His forgiveness and submit our life to Him. I gave him a New Testament and “Our Daily Bread” booklet. May God open the eyes of his heart so that he would understand the truth! Another patient told me: “I believe in God, but I do not read the Bible.” In the women’s ward Mary told me that she is tortured by sin. She did not want to bear a child but her husband demanded it. And now her daughter, whom she did not want to bear, is married but cannot have children. Mary feels guilty in this matter. She went to a priest to confess her sins, she asked for forgiveness from the Mother of God but is not certain that God forgave her. Mary does not read the Bible. I offered her a New Testament and suggested that she get a Bible and read it prayerfully. Mary has a problem standing during the entire worship service in an Orthodox church but so far she still holds on to Orthodoxy. A second woman, Vanda—she is a Roman Catholic—told me that she believes in God although she prays prayers that she has memorized and does not know whether God forgave her, or not. But she teaches her grandchildren to believe in God and teaches them to pray in their own words. She gladly accepted a New Testament. In the neurosurgical ward I met Natasha, a young women from Gomel. She cannot move her hands and legs. She gave birth to a son. Natasha does not have a husband. She lives with her mother. She said that at home she prayed that God would forgive her for all her sins. “I felt better afterward but now I have grown weaker and don’t have enough strength to hold a New Testament in my hands.” Natasha is depressed. Pray for her. I talked with Yadviga who works in the dining hall of one of the hospital wards. She considers herself to be a Roman Catholic and visits a Catholic church regularly. I asked her whether God forgave her sins. “And who can know this?” was her reply. “I don’t read the Bible, I don’t even have one.” When I offered her a Bible she leafed through it and said: “There are no prayers in it, no, I don’t want to take it. I’m not such a great sinner, there are people worse than I.” And such a person also calls herself a believer! In another hospital ward Lyudmila opened her heart to me – about her life, her sufferings, which she endured from her husband, about her children’s problems. Her husband drank heavily and beat her. She became desperate and asked God that He would take her husband. After some time he died (a brain vessel burst). Her conscience began to bother her because she felt responsible for her husband’s death. This happened 16 years ago but it still troubles her. Luydmila wanted to share her pain with someone, to confess her sins to someone. During our conversation told me all this. Afterward she said: “Thank you for hearing me out, I feel better now.” Lyudmila does not read the Bible. She claims to be Orthodox. 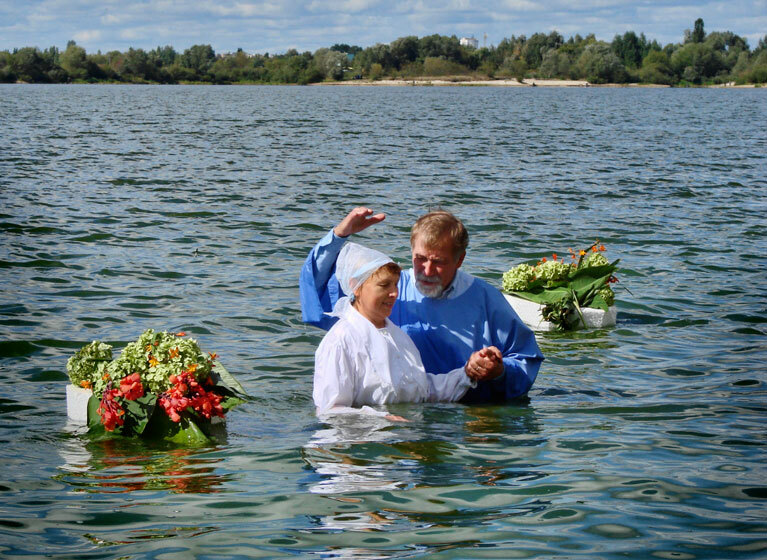 She baptized her children and was herself baptized in an Orthodox church. We talked about a personal relationship with God, about faith in Christ. I tried to convince her to read the Bible and pray. Lyudmila prays her own prayers, she asks God to help her daughter and son. She asked me which church I attend and its location. She told me that she needed spiritual help. I gave her a New Testament and “Our Daily Bread” devotional booklet. Pray for these people. Eduard, a young man in the pulmonary ward—he is 34 years of age and has a very large body. When I entered his room he asked me for spiritual help. A year ago Eduard had surgery (head) and now he has a problem with his leg. Eduard complains that at work he is surrounded by people who are extremely perverted, angry, bad (he works as a security guard). But he also saw how the lives of some of these people suddenly changed for the better when they turned to God. Eduard wanted to know ho this could be. He said: “A want to know God.” He told me that when he was a student in college t he once asked God to send him a young lady who could be his wife. He said that God answered him very quickly. He was married and, as Eduard said, “there are no problems in this regard.” But since his health has quickly deteriorated he has been thinking very seriously about his relationship with God. He is troubled by the question as to what will become of his family since he is the only breadwinner. When I offered to pray he immediately began to pray asking that God would forgive him for all his sins and said that he wanted to submit his life fully to God. He accepted a New Testament and our church card and said: “When I get better I will come with my wife and son who is 3 years old.” Pray for this family. In the cardiology ward I met one other patient, Igor. He spent 8 years in prison. Igor said that when he was in prison he took some correspondence Bible courses but still does not believe in God. I barely entered his room when he immediately told me: “I don’t believe in God and I don’t want to talk on this subject.” But, in spite of his protest and unwillingness to talk, “word by word,” we had a good conversation. Igor has a problem finding work. With such a “reputation” nobody wants to hire him. Igor is angry and disappointed. But he gladly took Christian literature, the Christian newspaper “Our Days,” a New Testament and “Our Daily Bread.” May he experience the forgiveness and mercy of our Lord and may he begin to serve Him. Pray that the Word, which was sown will bring fruit of salvation to those who heard it, that the Holy Spirit would continue His work in their hearts. That God would prepare the hearts of new people. Please continue to pray for the doctors and the entire hospital staff. Pray for repentance. Pray for those in charge. Pray for me and my children. About our health – spiritual and physical. About the coming surgery of my daughter. About its successful outcome. I thank my Lord for all the trials and difficulties, for all the joys and for His mercy. I thank the Lord for all of you who pray and sacrifice for our ministry. Together we work for the Lord, for the salvation of sinners and the extension of the kingdom of God. 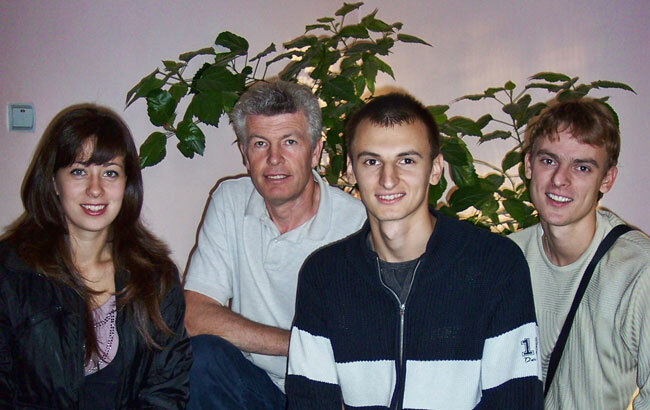 Special thanks to the Komashchuk family, - for their prayers and financial support. May the Lord fulfill all our needs with His generous hand. May the God’s mercy be with all of you. Peace be unto you brothers and sisters. With gratitude we always remember you in prayer before the Lord. Thank you for your care for my ministry. Thank you for the funds sent to us to use in our summer camping ministry which we are planning to conduct from June 16th with families which we contacted in January and February. We continue to maintain contact with them on a personal level. We are also planning ministry to these families this summer. In past April the church we experience wonderful fellowship in the church. A theme was selected for discussion, “How to witness to people?” Believers shared out of experience the things that were positive and things that were negative. We realize that today our witness has to be backed up by a healthy pattern of living. We are praying that God will open the door for the preaching of the gospel and that he will give us opportunities to meet needy individuals. This has happened with a family that I have been meeting with and sharing a witness with. At home all is well. Our youngest daughter Anna is finishing school and is preparing to go to medical institute. We ask your prayers in her behalf. Last year she was baptized, and she sings in the church choir. Accept my sincere gratitude for your loving concern. Sept. 13th, in the afternoon, I visited Borovlany, local TB prophylactic center, where 20 people had gathered. Patients listenened to our music and singing, and the message that my father shared with them. Six persons made decisions during our visit. I continue to go with my musical group "The Ark", on Wednesdays, to the village of Yuhnovka and on Saturdays to Zabashevichi, in order to attract people to come into these churches and to assist them in establishing a strong gospel witness. 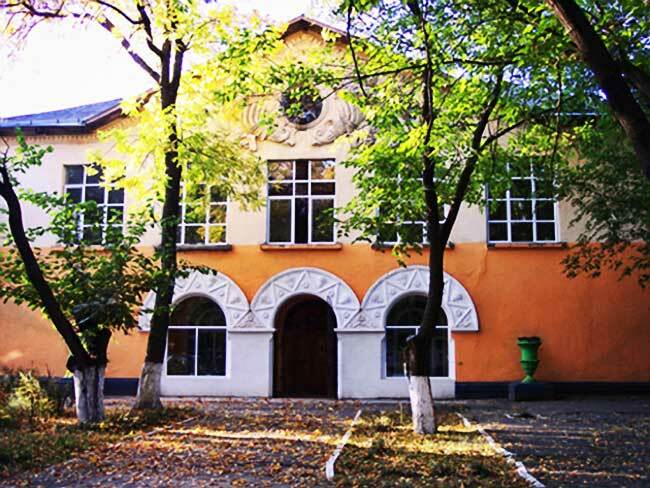 I am pleased with the growth of the Sunday school in Zabashevichi. Sept. 20th I preached in Kopil. At the close of the service I talked with a man who confessed that he left the church 15 years ago and began to come to church again. He was deeply moved responded to the invitation. 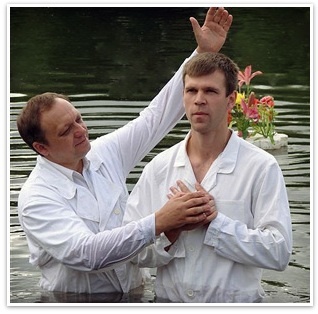 We are preparing for evangelism, which is scheduled to take place in Soligorsk region in November. Thank you for your continued support both spiritual and financial. 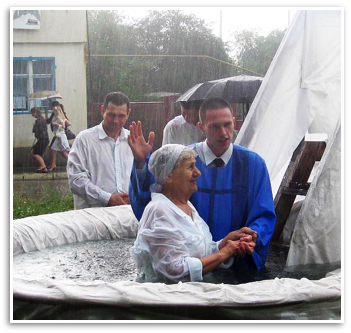 Praise the Lord, that in October we had another baptismal service. 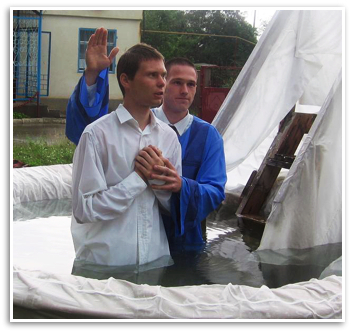 Praise the Lord for the ministry in the hospital in the village of Borovlyany where 6 people were converted. The musical group, "The Ark", participated in the service. Counseling and prayers are part of our work both in the church, and in the hospital. Helpful conversations take place with the patients in the ward when we are visiting hospitals in Kolodishchi and Barovlany. We had an interesting conversation was with the former dean of Belarussian State University, Fedor Kaputski in his home. He spoke about his life and his work in science. About his feelings about what he came to believe, through our conversations. He is now constantly reading the Bible and praying. 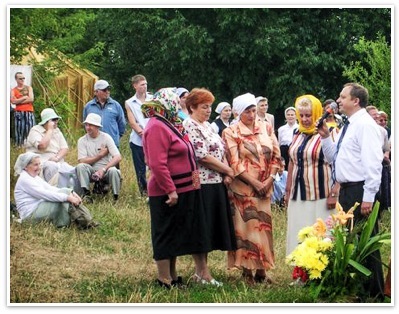 Spiritual literature is distributed during the service in Barovlany. Please pray for spiritual awakeneing in Kolodischi, that people would come to church and received Christ. Please continue to pray for funds to complete construction of the main sanctuary and the landscaping. I greet you in the love of our Lord Jesus Christ! I restate my gratitude to you for your prayers and for your financial help. “For my sin”. A visitor from Ireland attended the service and brought an interpreter with her. He also heard the gospel message. Three men went along with me for the funeral service of Zina one of our church members. A small family group of 5 met in the home where I preached a simple gospel message since all of them are not Christians. Out in front of the house 15 neighbors gathered to pay their last respects and I again conducted a short service. After the burial the relatives insisted that I share a meal with nine family members and it turned out to be a wonderful opportunity of sharing. A statement was made that our participation with the family made it very special for them. A lady that attended the service has now begun a friendship with one of the ladies in our church. Our young people gather before school starts for prayer. Vitebsk built the largest public square in Europe at an enormous expenditure. 4 persons in Vitebsk died from swine flu. For planned evangelistic centennial celebrations of the churches in Vitebsk. Pray for ideas and funding. Pray for Christmas evangelistic efforts. Pray for funds for a new car. May God reward you for your loving care for my family and our people. By the grace of God we continue to work in His harvest field. Recently, we turned from construction to do more spiritual work. What was neglected during construction we now beginning to take careof. We have initiated work in villages. We assist a small church, which is about 25 kilometers from us. We plan now to take care of another small church which is 40 kilometers away. A lot of time was spent in preparation for the evangelistic meeting, which was held October 24 and 25. It was the first time in more then 5 years that we under took such a large project. The evangelistic meeting was conducted in conjunction with the dedication of the reconstructed church building . We thank the Lord that everything went well. There were many guests, musical groups, from Grodno, Brest, Kobrin, Minsk and one group was from the Ukraine. There were many visitors and on the second day people had to stand in the hallway because there were so many people. Several people repented, and some new people started coming to meetings. Greetings, dear brothers and sisters. God's blessing on your life and service. Praise the Lord, that His mercy is not diminishing. Thank God for you, dear brothers and sisters, and for your service to us. Thank you for your prayers about us, about our church, and for your support. Most of this past month, we were involved in our usual ministry at the church. We also went to visit friends in order to share the gospel with them. There are varied responses and some do not wish to hear. Some become angry and just cut off the conversation. Sasha, accused me of betraying the Orthodox faith. I pray that the Lord will talk with him before I visit him again. Novoselka in the region of Drogichin, where we had a Bible study, my sister Nadia gave birth to a baby recently which required a change in plans for a time. But, we thank God, that we were invited by another, Sister Svetlana, who will be inviting to others come to her home. Our church celebrated Harvest Festival in past October. About a 100 people attended the service. A lot of gypsies and their children attended. Brethren read God's Word, there was much singing and poetry. The church expressed its gratitude to God for the harvest. After the service was dinner was served. The next Sunday the harvest festival was celebrated in the Sunday school with children singing songs, and reciting poetry. Sister Valentina is in charge. I conduct services and had prayerful communion with members and choir rehearsal. Please, pray for us, for our family, our church. May the Lord abundantly bless you.